I recently installed a new center pod in my PT that was originally made for 95-99 mustangs. It holds 2 gauges. I had to modify it a little to make it fit on the dash board. But it looks cool with all the other gauges on my a-pillar. Check out my pics. Works great with my supercharger and is also good for extra points at the car shows I go to. No one has any questions for me? I'm shocked! 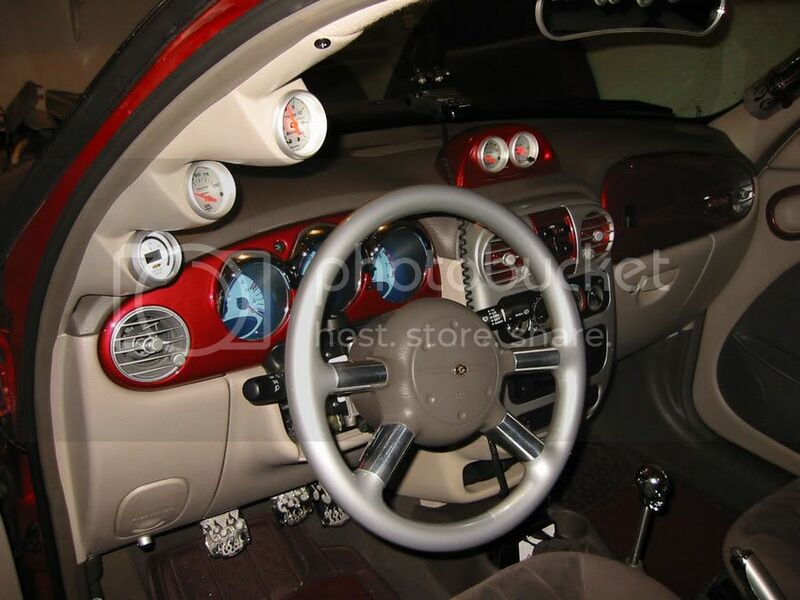 Guages lookin good and goes well with the interior things you've already done. Thanks! I know what you mean. I'm hear at work, board out of my mind. Thanks for the reply. Lookin Good! 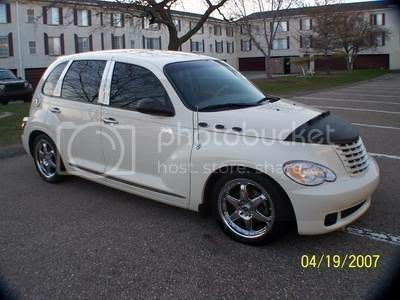 Is that a Chrysler Clock and how did you mount the housing to the dash pad? Gauges look really good. You did a nice job. Your dash looks great. Gauges looks sweet in there. Looks very nice...and another good idea painting the inside of the air-vents...looks great.